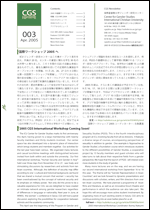 2005 CGS International Workshop Coming Soon! A Gender Perspective for the Jury System! Marriage Controversy in China: Who Wins?